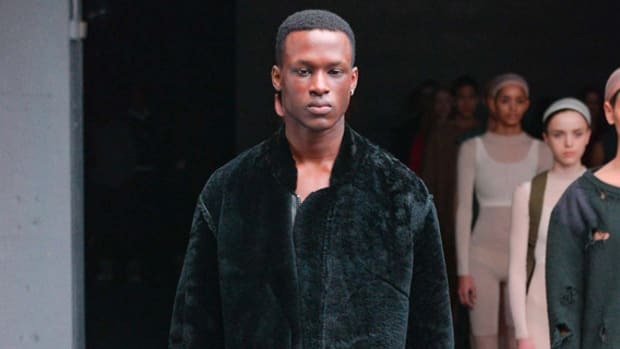 Earlier this month, the acclaimed menswear designer Robert Geller revealed the Fall/Winter 2016 collection for his eponymous label as part of New York Fashion Week: Men’s. And for a third consecutive year, the NYC-based Geller featured Casio G-Shocks on the wrists of his assembled runway models. 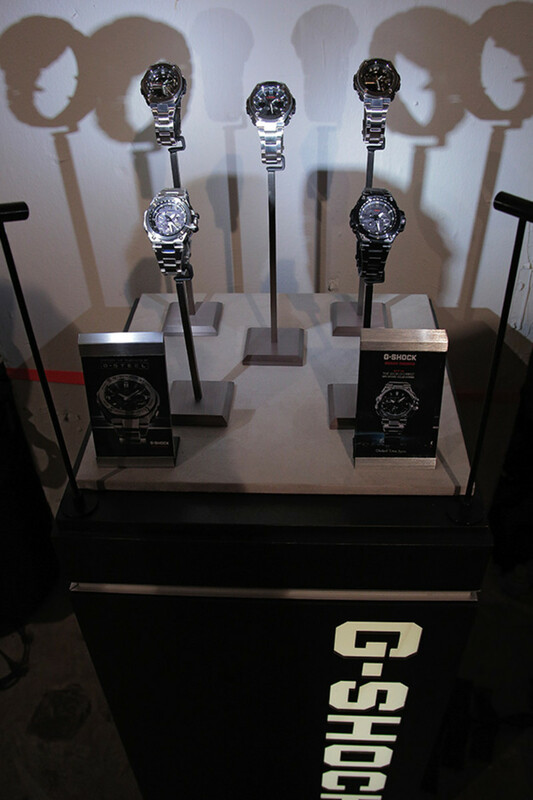 The timepieces on display were the MT-G Metal Twisted G-Shock (specifically, the MTGS1000BD-1 Black IP Model) and the refined G-Shock G-Steel, offered in a trio of styles (GSTS110D-1A, as well as the new GST210D-9A and GST210D-1A). 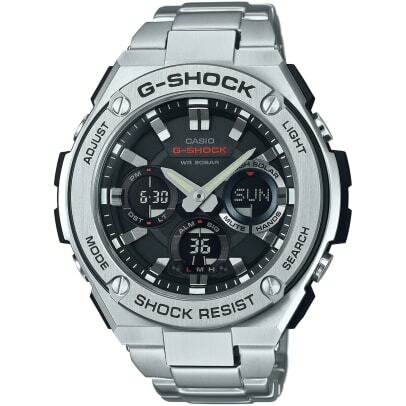 Made for the wearer who prefers the look and feel of a metal watch, coupled with the signature durability of G-Shock, the models are currently available through select G-Shock retailers and online. 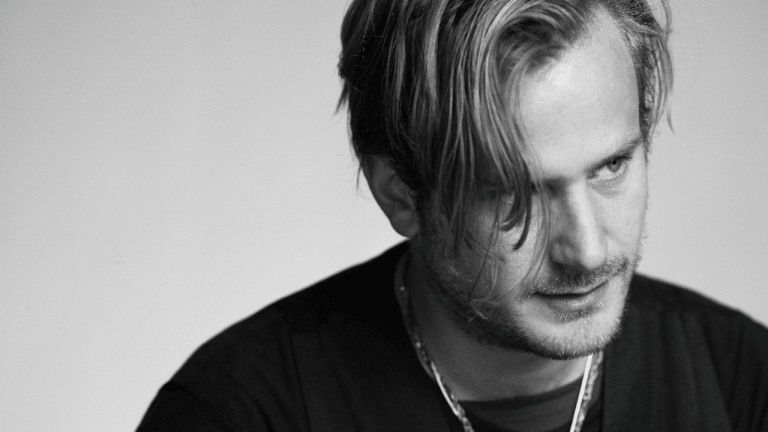 We recently caught up with Robert to talk about his G-Shock partnership, as well as the importance of social media, his experience working with Kanye West on Yeezy Season 1, and what he views as constituting a good New York day. 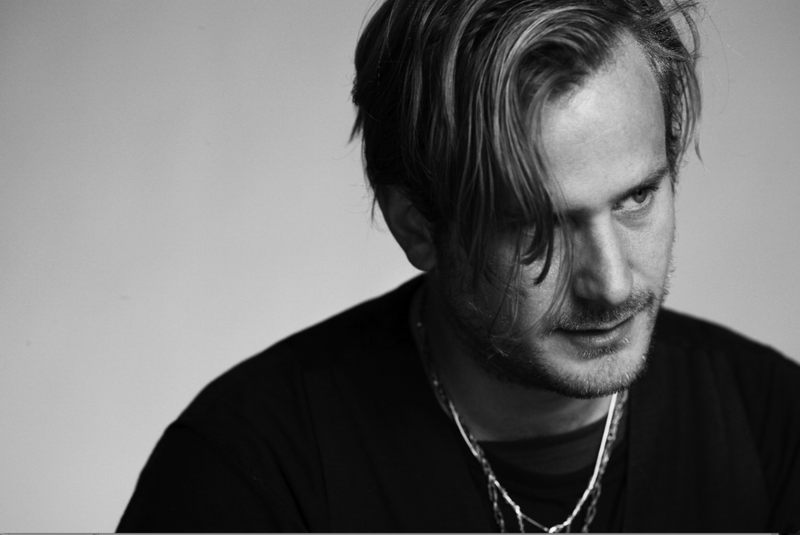 Robert was both expansive and engaged, revealing himself to be among the most authentic and nicest guys working in fashion today. Enjoy the interview below. How did your G-Shock partnership first come about? It was through a friend of mine who knew the people at G-Shock, and we started talking, and I just saw there was an alignment in terms of the brand. 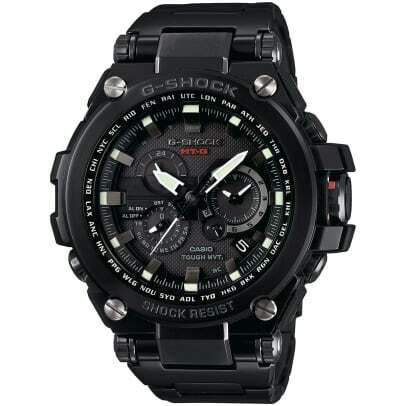 I see my brand as a mixture of the New York toughness with the European elegance, and G-Shock has that as well. It&apos;s G-Shock. 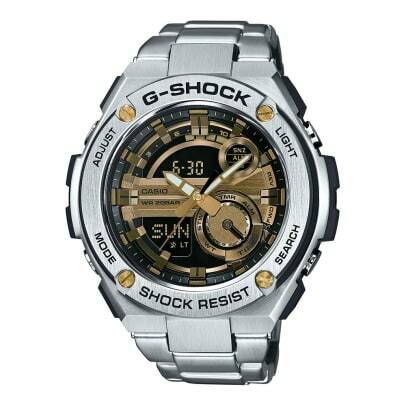 I wore the G-Shock when I was growing up; I had a yellow G-Shock all the time. It was the coolest watch. All of my friends had it. Now we&apos;ve grown up, and I thought that the new model that they&apos;re doing, with the MT-G and just recently with the G-Steel, it&apos;s the grown up version. It&apos;s the elegant version. It still has the toughness, and I just saw a real alignment there, and so did they, and then we decided to work together. 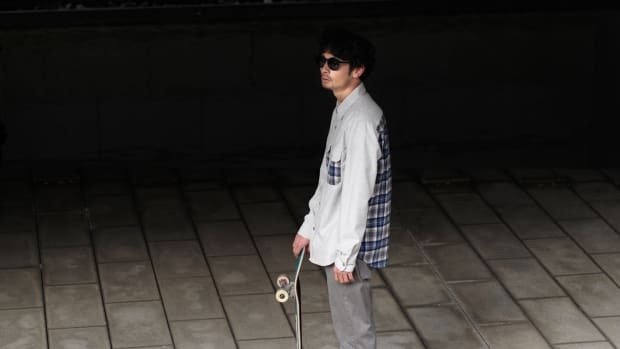 So collaborations have become fairly commonplace in menswear and streetwear. Generally speaking, what are the elements that go into a good collaboration? I think the person that you collaborate with or the company that you collaborate with has to be able to produce a better product than you could on your own. And that is definitely the case with G-Shock. 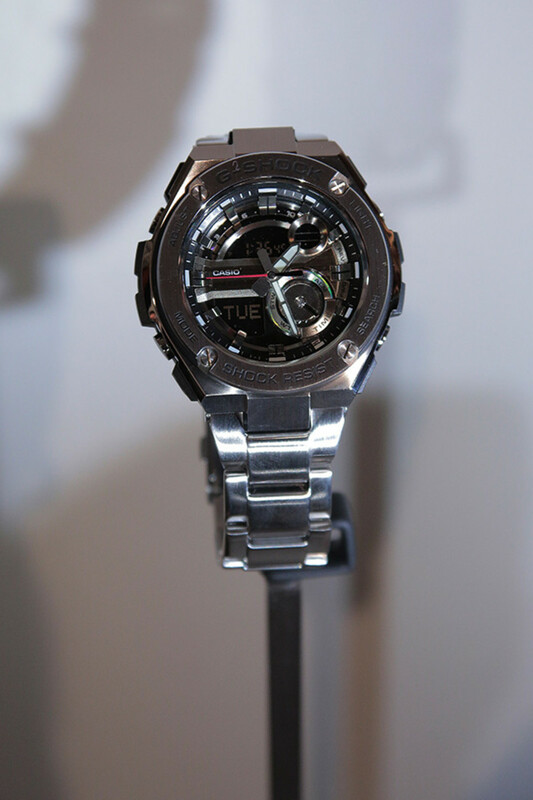 There needs to be a real synergy, like the people who like to wear Robert Geller also like to wear G-Shock. That was important to me. Whenever people ask me, "How does New York influence you?" I always say it&apos;s sort of the grit and the dirt and the toughness that you need to be here, and that shows in the outerwear that I do, the hoodies that I put out. I think that&apos;s so important to G-Shock as well. 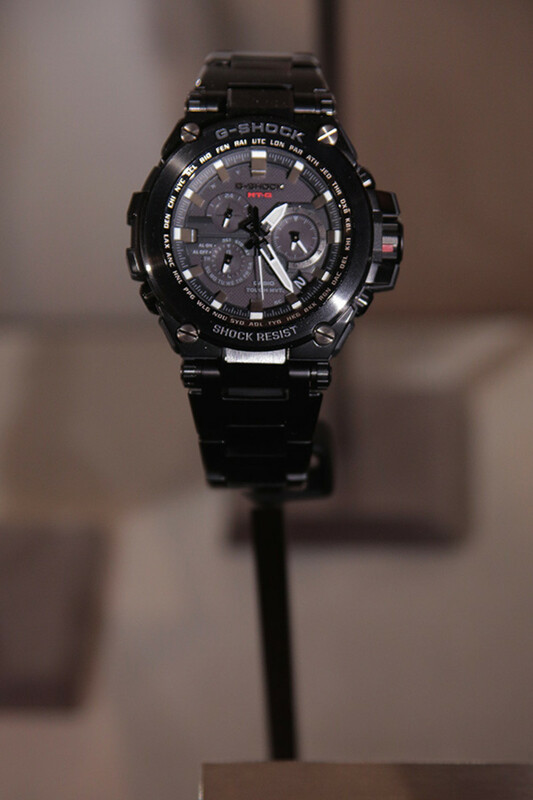 It&apos;s that sort of durability and toughness, but there&apos;s also my European side which is that very elegant, high-end fashion, and then coming out with the high-end product is perfect for G-Shock, and it just makes a lot of sense. 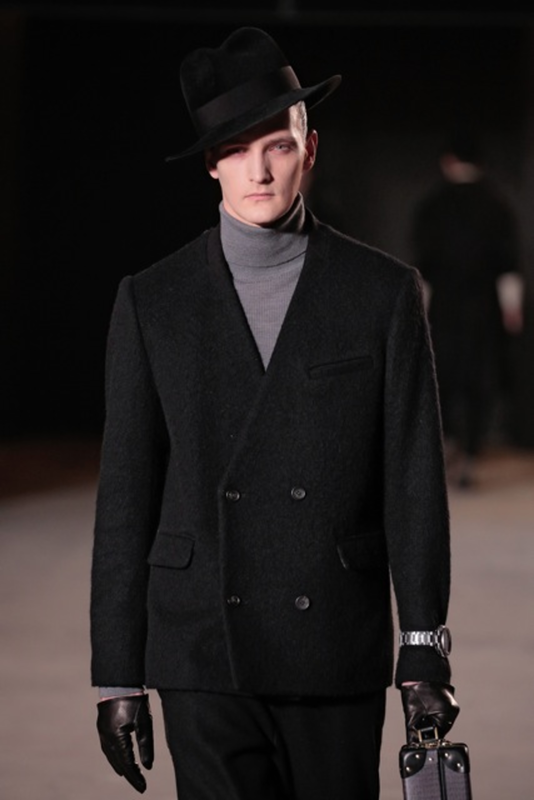 The menswear landscape has changed with technology. It seems like in all creative fields, including music, film, literature, there&apos;s been a barrier that&apos;s been broken down between the creators and the audience. For you personally, how has that dynamic affected the way you work, or does it affect you at all? Absolutely. I embrace it. I love it. I love the fact that probably the two biggest Robert Geller fans, one lives in Ohio in a small town and the other one&apos;s in West Virginia, and there&apos;s no else in their town that&apos;s ever heard of Robert Geller. Are you on social media? Do you ever interact with your fans online? Oh, definitely. Any chance I get. Also, I&apos;m always reading the threads because it&apos;s the most amazing feedback you can get, the most honest things. If there are any complaints about anything, they&apos;ll definitely be telling each other, and if there&apos;s something that they really like, they&apos;ll be telling each other. Just in terms of doing market research and seeing how you&apos;re doing, it&apos;s great. Some of our readers are maybe a little too focused on sneakers and neglect the rest of their wardrobe. So if you were giving style advice to a guy who&apos;s really into sneakers, what would you say are the essential pieces that he should have in his closet? I think the sneakers are a starting point. It gets a little more complicated once you start getting into the clothing, but I feel like there&apos;s a natural transition that happens. Like with the Yeezys, a lot of guys who are into shoes are now looking at clothing. 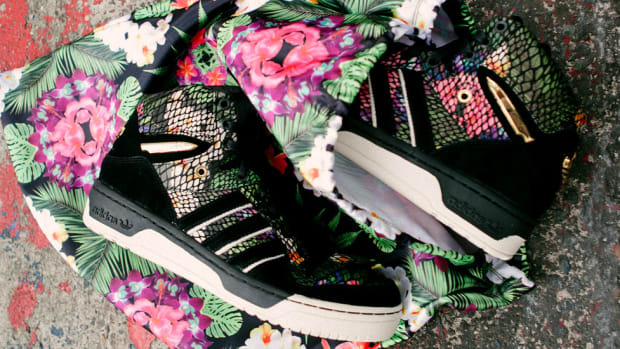 The whole streetwear thing goes side-by-side with the sneaker thing. So the first thing that you would think of are more casual, more athletic pieces, whether it&apos;s just a really nice high-quality hoodie. Color is something that&apos;s interesting to play with. I think men are really into color as long as it&apos;s more subtle and more somber. 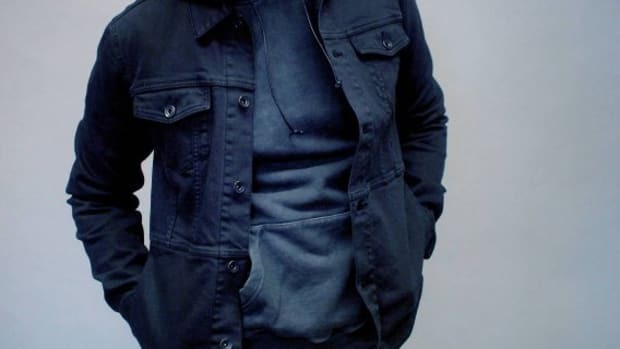 If you can mix it with a dark grey or black, or with your worn-in jeans, that&apos;s when guys are really willing to accept the colors, and that&apos;s what I try to bring people towards. Introducing them to a bit of color that&apos;s not so scary for guys. 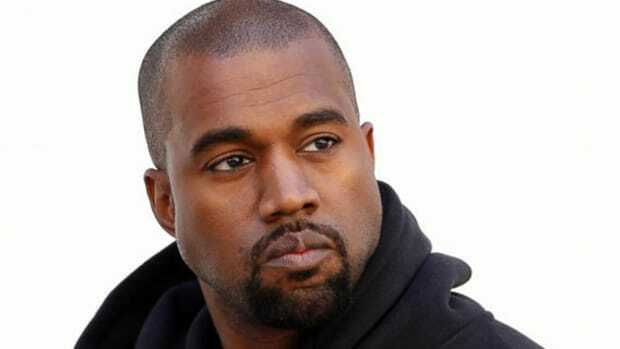 You mentioned Yeezys. You worked with Kanye West on Season One, and regardless of what people actually think of the collection, it was kind of a watershed moment. 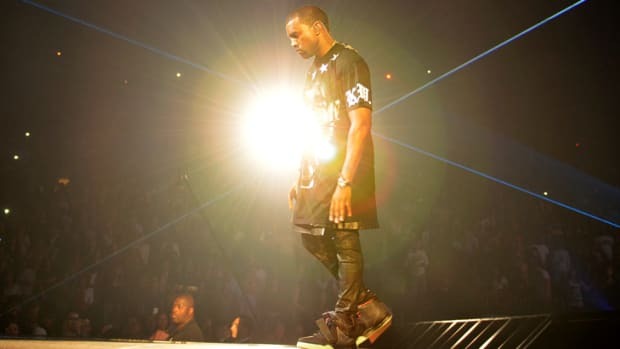 While Kanye West is not an unknown, he&apos;s definitely a novice in the fashion world. You could see him as being an interloper. It was a populist notion that somebody who wasn&apos;t from fashion could make immediate headways into the industry like that. People don&apos;t know it but he&apos;s been into this for a long time. One of the greatest things he said to me is that he loved when he wasn&apos;t accepted into the fashion world the first time when he started showing in Paris. That people kind of closed the doors on him because it&apos;s a challenge, and he likes challenges. So he decided to go back and just rethink it and study and study and get people that he thought were interesting together and work with him. Kanye hasn&apos;t had the formal training that you did, so when you look at the attention that he&apos;s gotten, do you think that&apos;s good for fashion? I don&apos;t think that that&apos;s a problem. I mean, if you look at one of my heroes, Raf Simons, if you watch the documentary called Dior and I, he doesn&apos;t sketch a single piece. He comes up with the concept. He comes up with the idea, and he has a team of sketchers. He builds a direction and finds beautiful influences for the prints. If you&apos;re at a level where you can build a team ... you don&apos;t need to be able to sew your clothes. I don&apos;t sew any of my clothes anymore. I don&apos;t have time for it, you know what I mean? You become a director at certain point, and he&apos;s a director. I think that&apos;s the way he works with music. He has ideas, and he brings people in and shares the creative moment and he directs it. It&apos;s his vision and his thing. He just gets people to come in and bring a little bit of their flavor into it as well. I don&apos;t think it&apos;s wrong. In the end, the only thing that counts is the product, and if people like the product, then that&apos;s fine. It&apos;s not like some celebrity just putting their name on some crap that they don&apos;t spend any time with just to sell it at Macy&apos;s. He&apos;s in it, and he&apos;s got his opinions and visions, and so I don&apos;t think you can compare it to a celebrity endorsement kind of thing. I&apos;ll get you out of here on this one: as someone who now considers himself a New Yorker, what to you is a good New York day? (laughs) Oh my god, there&apos;s a million things. I wake up, and I have breakfast with my family here. I live out in Brooklyn, in Fort Green, so we have breakfast together. Then I make my way into the city and meet my team at the office. We have an office in the city, in Tribeca, and I really still enjoy going into the office. I love my team. I love the atmosphere in the office. And going forward, a nice lunch. A lot of times I&apos;ll bring my team. I&apos;ve become friends with most of them. On a spring day, we sit outside, grab sandwiches, sit outside on a stoop somewhere and just chat and have lunch, and then come back to the office, keep working, and then meeting some friends out for a drink after work, and then running home to put the kids to bed. It&apos;s really for me, it&apos;s that balance of work and family, and also Brooklyn and the city. I have both. I have my work life, and I have my work events and work dinners and fashion parties and whatever, but I just as much love coming home and just having dinner with the girls and my wife and putting them to sleep and ... Balance. I think it&apos;s all about balance. 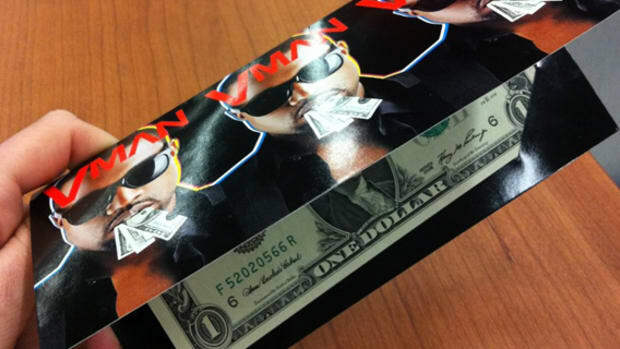 VMAN Magazine Party With Kanye West Invitation With Real Money!! !